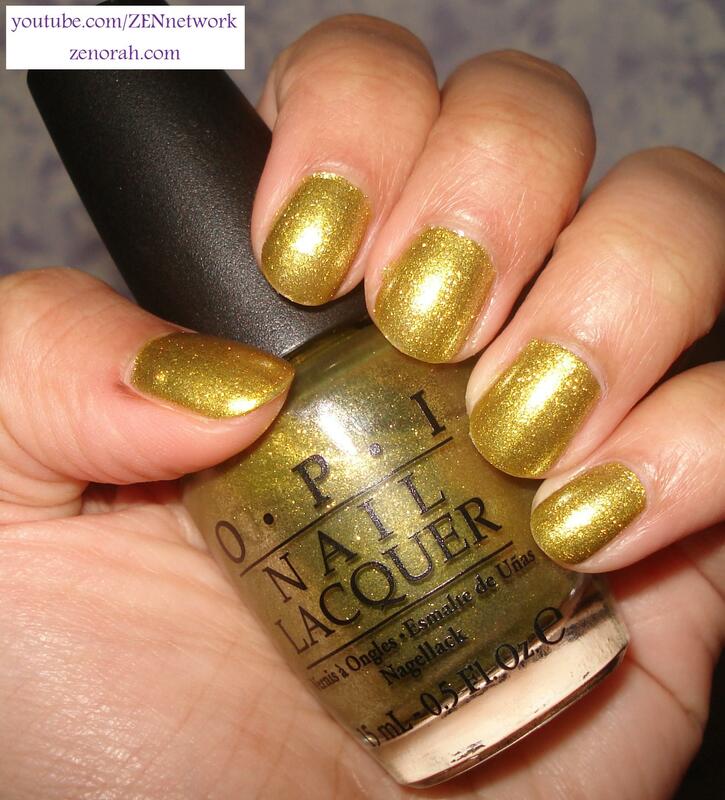 OPI Simply Smashing – is a true chartreuse shimmer polish packed with antique gold reflects! This was released in the Serena Williams Grand Slam 2011 series along with OPI Black Shatter. This is probably one of the most unique polishes I own, a colour like this does not come along everyday and not particularly in such an fantastic finish. I was trying to find words to describe this polish the best I can and I kid you not, the best thing I could compare it to is – a tennis ball!!! (this might be what they were going for considering this polish was inspired by Serena Williams). I used three coats to achieve an opaque manicure but the most impressive thing about this polish is the longevity after a few days of wearing it – no chips or tip wear and I am being really honest, I completely forgot how long I wore it! That my friends, is the first time I have seriously forgotten how long I have worn a polish – that’s crazy considering my OCD personality regarding nail polish. I rarely add a top coat to my swatches because I want you guys to see the polish itself without a top coat but can you imagine how much this polish would GLOW with a top coat??!!! I really adore it and this is seriously a polish that can act neutral during day time but will come alive at night!! I know this shade isn’t for everyone, but as a nail polish collector/lover – this should definitely be on your list for must haves – a colour like this has many relatives (as does every nail polish) but the family in which it belongs to is a small one which is why I suggest you should get it. Even more so because it is slightly more common to see ‘olive’ shades before a true chartreuse shade in nail polish form. Do you own OPI Simply Smashing? What are your thoughts on this nail polish? This is a rare polish. I trust your judgement but not sure about this one for me. Looks great on you though! Keep the posts coming. I look forward to them. Hi Taryn! i think this would love really lovely on you – at first i didn’t think much of it but after wearing it, it is stunning! and the colour is rare as well – but i’ve got sooo much more to post so there is LOTS to come.